Hearon’s Marathon Raises Over $10,000! Reid Menzer Memorial Skatepark Hearon’s Marathon Raises Over $10,000! 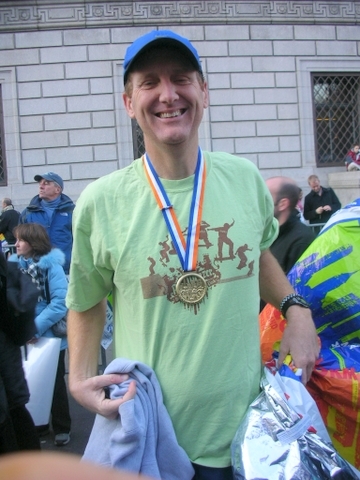 On November 4, 2006, Hearon Dickson raised over $10,000 for the skatepark by running the New York City Marathon – his first – with a time of 4:19:05. Now a resident of Raleigh, NC, Hearon and his family are one of the Menzer’s oldest and dearest friends. Pledges came in from all over the country to support his effort. Thanks, Hearon – you’re the winner, as far as we’re concerned! Friends: For the overwhelming majority of you, this is the first letter like this you have received from me. So here goes…. On January 22, 2006, our very dear friends, Kendall and Eric Menzer, received the phone call that every parent dreads. Their 14 year old son, Reid, had been hit by a car while riding on his “street luge” skateboard. By the time Kendall and Eric arrived at York County (PA) Hospital, Reid had died from his injuries. Reid was a great kid!! Full of life and love and energy. Reid fully embraced everything and everyone around him, whether it was his participation on the Dallastown Cougars baseball team, playing in his band, Autumn’s Rising, skateboarding, or just hanging out with his friends. One of Reid’s dreams was that there would be a public skatepark in York. Such a park, Reid felt, would give kids a safer place to participate in this rapidly growing sport. The Reid Menzer Memorial Skatepark will serve to fulfill that dream and provide such a place for those youth. On November 5, 2006 I will be running the New York Marathon in honor of Reid and his family and as a fundraiser for the skatepark. My hope is that you will agree to sponsor me in this effort by pledging a certain amount of money per mile that I run. For example, a donation of $4 per mile would mean a donation of $104. Deciding to do this was easy, as Kendall and Eric are not only two of my closest friends but are also two of my oldest and favorite running buddies. In fact, in 1993 Eric and I were supposed to run the marathon together. He succeeded and I did not. That history provides additional incentive for this effort this year. I fully understand that you receive innumerable requests for donations to various causes, and that it is difficult, if not impossible, to support every one of them. I ask you to please consider supporting me in this cause. Before deciding, I heartily encourage you to learn more about the skatepark and the outpouring of support at the following site:http://www.reidmenzermemorialskatepark.org This site will help explain more what a special person Reid was and why I am so passionate about this endeavor. Tax-deductible donations should be made payable to the Reid Menzer Memorial Skatepark Fund and given to me or sent to me at 2405 Fairview Road Raleigh, NC 27608. Alternatively, you can follow the donation instructions on the skatepark website. 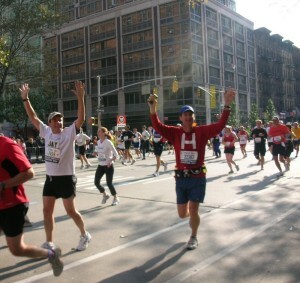 Please reference the New York Marathon in the memo field of your check. Or, of course, you can reply to this email with a pledge and I will follow-up with you in November after my completion of the marathon.